Imagine an oil so HYDRATING, REPLENISHING AND SUSTAINABLE, it’s been an envied beauty secret in Africa for thousands of years. 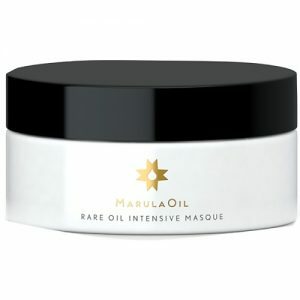 Marula oil has long been used to work wonders on skin, and now, in unique, high-performance formulas, we bring SKINCARE-INSPIRED INGREDIENTS to hair care. A Beautiful Partnership.. Fair trade wages that support rural communities. Versatile, Hydrating Marula oil comes from the fruit of the marula tree, vital resource for the people of southern and eastern Africa. Brimming with POWERFUL ANTIOXIDANTS, OLEIC ACIDS and a HIGH CONCENTRATION OF NUTRIENTS, Marula oil is not only a prized beauty ritual – it’s a SUSTAINABLE SOURCE OF INCOME as well. The Marula fruit is wild-harvested by African women’s collectives who are educated on safe practices, provide traceability training and paid fair trade wages. MARULA OIL HELPS CREATE A SUSTAINABLE ECONOMY FOR OVER 7,000 WOMAN AND THEIR FAMILIES.